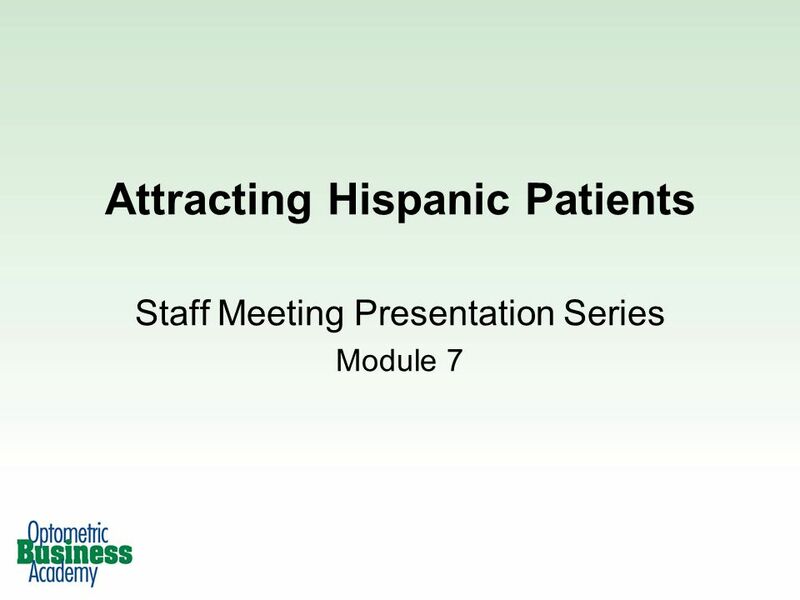 Attracting Hispanic Patients Staff Meeting Presentation Series Module 7. 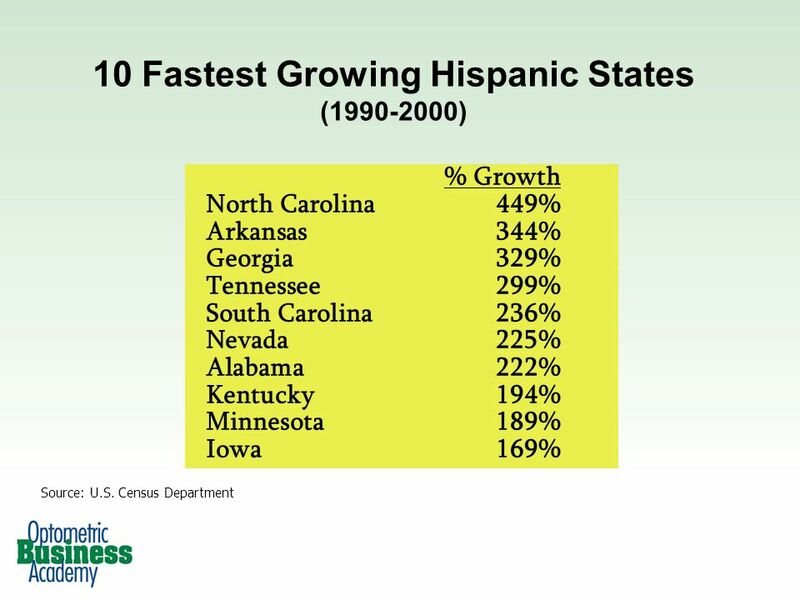 10 For Discussion How can the office be made to appear more Hispanic friendly? 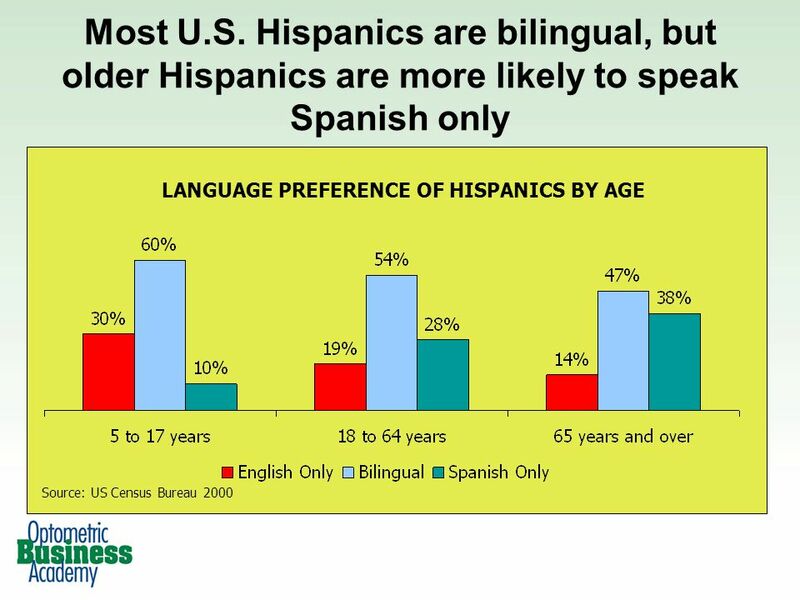 Are office forms bi-lingual? 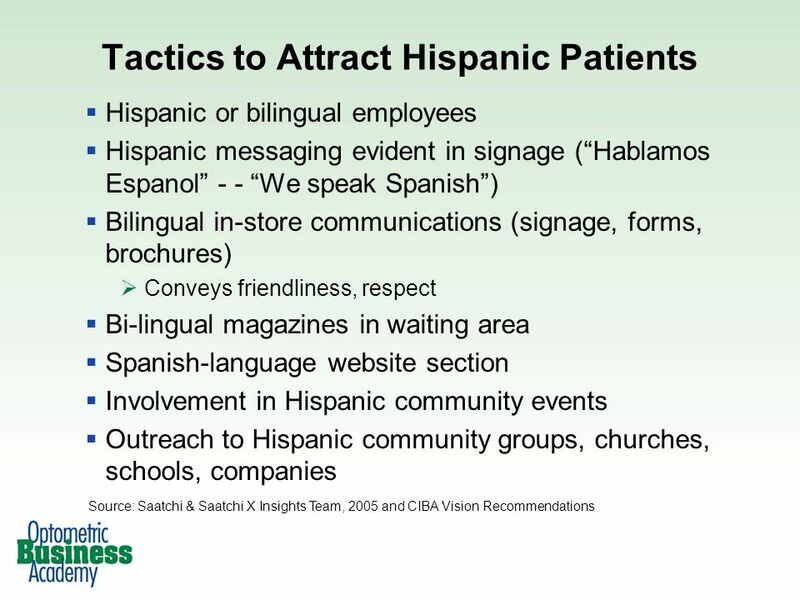 Do marketing materials encourage Hispanic patients to visit the practice? 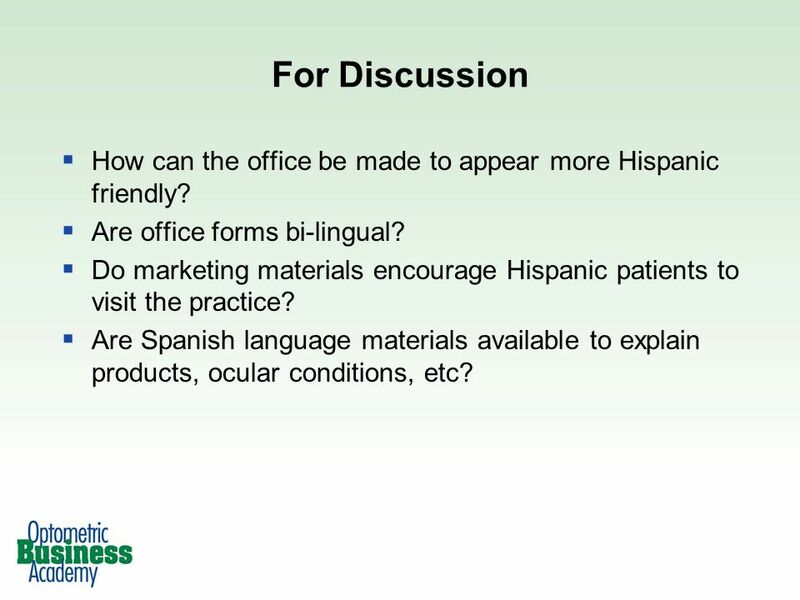 Are Spanish language materials available to explain products, ocular conditions, etc? 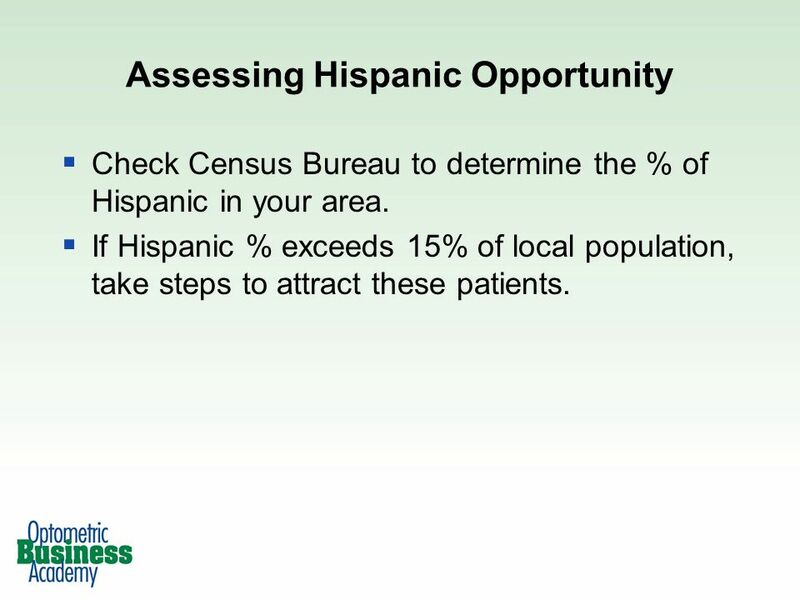 Download ppt "Attracting Hispanic Patients Staff Meeting Presentation Series Module 7." An Introduction to Spanish Club 5 th Grade ¡Bienvenidos! Me llamo Señora Patton. Soy profesora del club de español. Tengo treinta años. Vivo en. Warm Up turn to page 1 in your textbook. On the opposite page read Fondo Cultural. Write down two important facts from this box. Turn to page 2. Para Empezar Buenos días Good morning ¿Cómo te llamas? What is your name? Etapa Preliminar GreetingsVocabulario Numbers Days of the Week Questions. Study System guidelines- Vocabulary Self Quiz A Study System is a self-quiz activity. 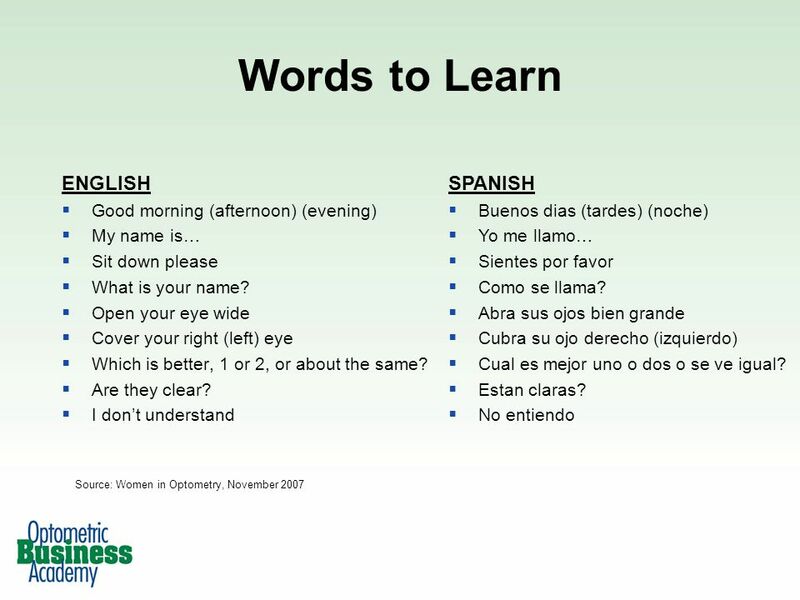 The student must start working on it after studying the vocabulary. 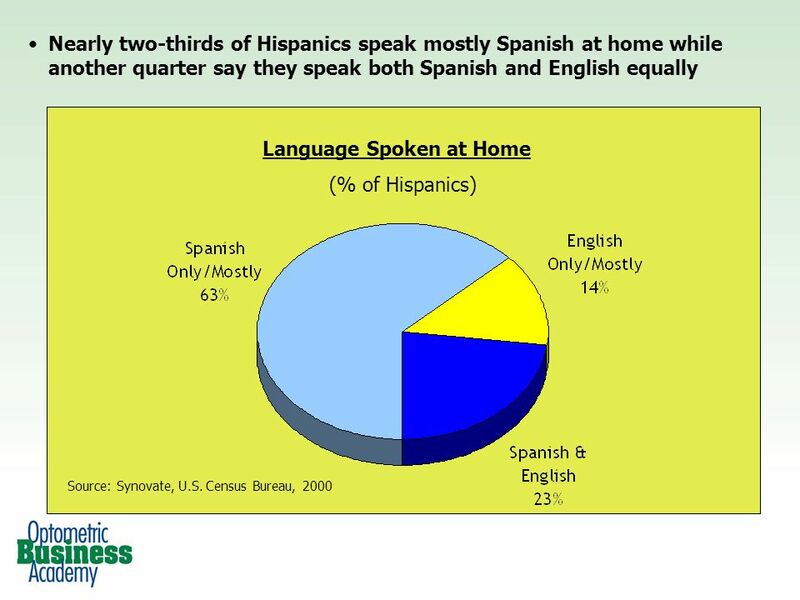 Laura Kirkland LIBR 264 Summer 2012 Definition of ELL “ELL” – English Language Learners Individuals who do not speak English as their primary language. How to ask someone’s name How to say your name in Spanish Pre-Spanish Mrs. Didion’s Class. Hoy es miércoles, el dos de octubre. 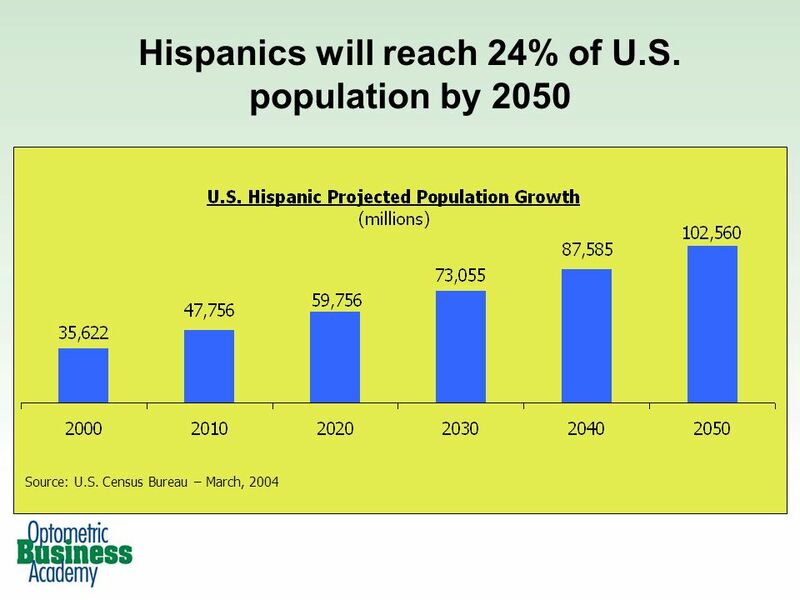 La pregunta: Fill in the blank with a logical word/phrase. Juan: Buenos días, Sr. Bardem. 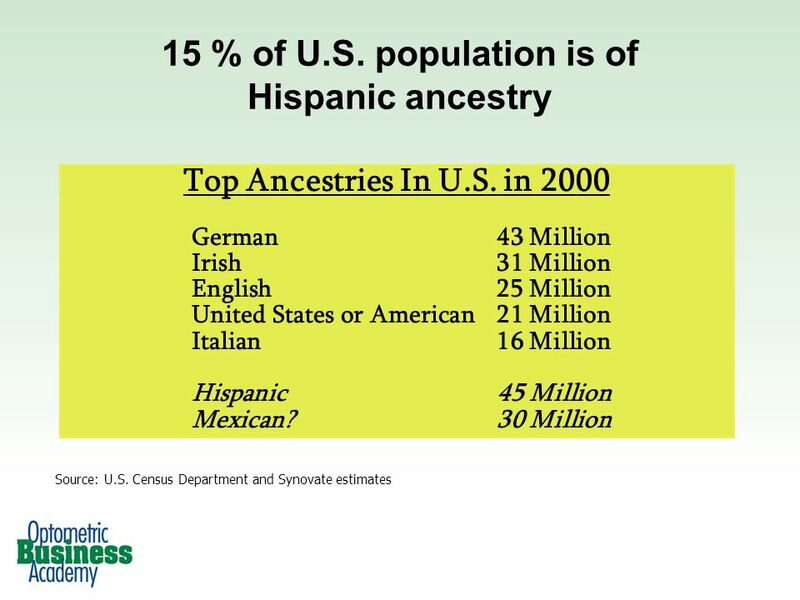 ¿ ________________? Sr.